Geotechnical Engineering is the branch of civil engineering which deals with the study of behavior of earth materials like soil, rocks, underground water, etc. 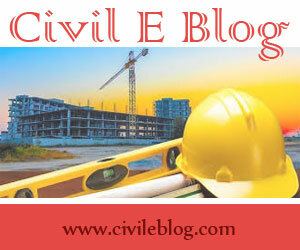 and their relation to design, construction and operation of engineering projects. Sometimes, it may also be referred as soil engineering, ground engineering or geo-technics as it is closely related to Engineering Geology. Engineering geologists (i.e. those with a first degree in geology) and geotechnical engineers (i.e. those with a first degree in civil engineering) work closely together to form a comprehensive ground engineering team for the investigation, design, and construction of major infrastructure projects. Geotechnical engineering shares common interests with other disciplines such as structural engineering, ocean engineering, material science, or petroleum engineering as nearly all civil engineering structures are supported on or built into the ground. Geotechnical engineering is a truly multi-disciplinary field offering training and research possibilities ranging from material testing and analytical methods to nonlinear numerical modeling of multi-physics problems. Geotechnical engineering uses principles of soil and rock mechanics to investigate subsurface conditions and materials (i.e. displacements, stresses and strains on soil); determine the relevant physical/mechanical and chemical properties of these materials; evaluate stability of natural slopes and man-made soil deposits; assess risks posed by site conditions; design earthworks and structure foundations; and monitor site conditions, earthwork and foundation construction. Geotechnical engineering is all about analysis and design of soil stabilization systems which would provide enough support to the structure laid on it and ultimately ensuring the safety of people using the structure. Geotechnical design focuses on ensuring that structure remains standing on unstable soil; establishment of safety measures to minimize the damage to the roads, buildings, etc. due to landslides or earthquake. Beside these, geotechnical engineers may work on projects which deal with under-water soil, such as those affecting marinas and offshore platforms. Talking about the geotechnical design process, it basically starts with a subsurface investigation. In this process, geotechnical engineers first take the soil samples from the site using sampler (i.e. test pits or bores). Then geotechnical engineers analyze that soil sample to determine the stability, presence of air or rock pockets, and also evaluate the chemical makeup of soil. This investigation is useful for preparing the site for construction. If soil is not good enough it may have to be treated before construction. With the obtained data from investigation, geotechnical engineering professionals may design the stable footings and foundations. These structures (i.e. footings and foundations) are made using steel, concrete or masonry to support and distribute the weight or loading of the building. The design of such structures must be designed taking account of people that may reside in building, ground movements, impacts of weather, and other external forces if any. Typically more unstable the soil at project site, more complex will be the foundation system. The basic responsibilities of a geotechnical engineer is to collect the soil samples from the site, analyze it and design the support structures for accommodating roads, buildings, dams, tunnels etc. They have to consider various factors like soil stress bearing capacity, stability of soil, design load, etc. to accurately design the supporting structures. The geotechnical engineer is responsible for establishment of earth-support structures like concrete or steel retaining walls which would prevent earth from collapse or caving holding the soil firmly. Temporary earth-support structures are provided for the safety of workers during the excavation work in the site. Before any kind of construction can begin, a geotechnical engineer must conduct a detailed investigation of the area in question to ensure that it is safe and to determine the best way to go about building the structure in question. A geotechnical engineer is responsible for assessing the unique risks posed by any given area and is usually also responsible for helping to design earthworks and foundations to use in a given set of conditions. Usually, geotechnical engineers don't have to perform much of the work at construction site, as computers have offered much more effective and accurate methods for analyzing the site. There are lot of softwares available for analyzing and modeling site conditions. Computer modeling allows engineers to run tests and simulations of an area based on information they gather and program into the computer. From this mathematical modeling and simulation, they can predict things such as slope stability and earthquake potential, which are very essential for designing buildings or any other structures. Soil properties: Void ratio, permeability, porosity, unit weight, stress bearing capacity etc. Foundation and footing: Shallow foundation and deep foundation. 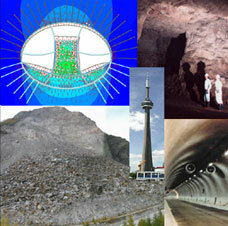 Lateral earth support structures: Gravity walls, cantilever walls, excavation shoring etc. Marine geo-structures: Undersea foundations, floating-moored structures etc. In USA, the average entry level salary (0-2 yrs experience) for Geotechnical engineer is $53,800. The employee may require the necessary bachelor's degree in area of specialty. Main job is to prepare and inspect projects involving drilling and exploration. They are responsible for geological mapping, report writing, site characterization, numerical modeling and analysis of excavations/supports. Primary job functions do not typically require exercising independent judgment and should work under immediate supervision. With 2-4yrs of experience in this field, the expected average salary is $61,500. He/She may relies on limited experience and judgment to plan and accomplish goals; work under general supervision and has to be familiar with a variety of the field's concepts, practices, and procedures. A certain degree of creativity and latitude is required. For experience of 4-6yrs, the average salary is $79,500. The employee may have to lead and direct the work of others. A wide degree of creativity and latitude is expected. For eperience of 6-8yrs, the average salary is $101,000.